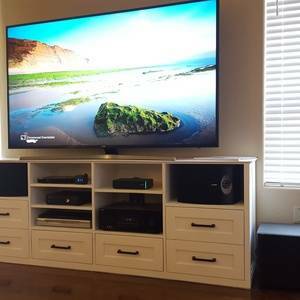 I built this built-in TV Console large and sturdy enough for a 65 Inch TV. All sheet material is 3/4 inch pine plywood. Shelves are adjustable to fit up to six components. I also incorporated two false panels behind the shelving to hide all the wires. 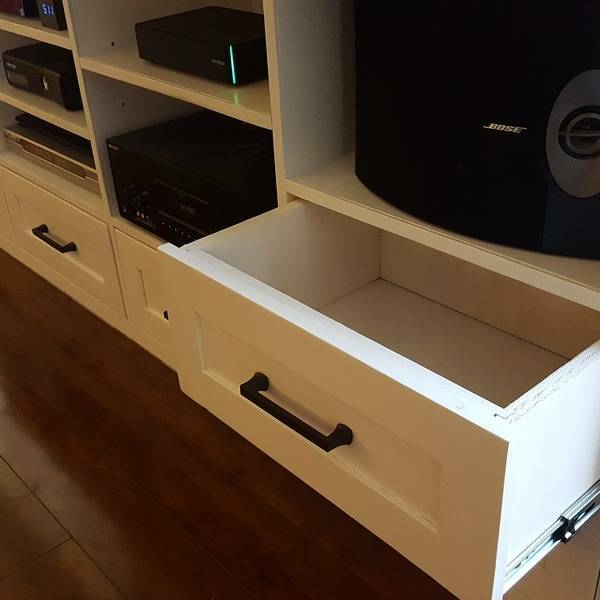 Drawers were build using rabbet and dado corner joints and are mounted on soft close slides with shaker fronts. Awesome build! We like all the storage space! @RYOBI NATION Thank you! So much storage, I'm still trying to fill all the drawers.